Our body works in wonderful and mysterious ways when it comes to fighting infection. As our immune system attacks a foreign substance that has entered our body, inflammation occurs—often redness, heat, swelling, and pain. How do you treat it? Over-the-counter medications? 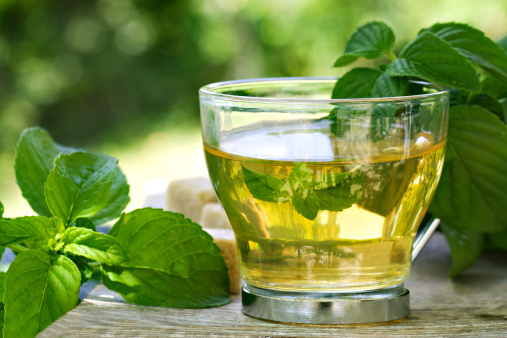 Did you know there are certain foods that fight inflammation? Close that medicine cabinet and read on to discover how you can use anti-inflammatory foods to heal. Whether it is caused by injury or illness, inflammation is our body’s way of responding in order to heal properly. It is when healthy tissue is attacked by our overworked immune system that we are in trouble. To offset the pain and inflammation that occurs, we often turn to medicinal items such as the non-steroidal inflammatory drugs (NSAIDs) ibuprofen or aspirin. However, studies have shown there are also specific foods and drinks that may target inflammation and help provide pain relief. An anti-inflammatory diet comprises food as close to its natural state as possible such as fruits and vegetables, grains, proteins, herbs and spices. These foods contain natural anti-inflammatory properties such as minerals, essential fatty acids, and antioxidants that are believed to fight infection. By consuming such foods, our immune system strengthens as does as our body’s overall health, which lowers our risk for other health conditions. From this, experts recommend we avoid processed and saturated fatty foods and lean toward healthy, nutrient-enriched food. The theory is that what we eat can not only help fight the harmful substances but can also help speed up the healing process and prevent further complications. The anti-inflammatory and analgesic properties of certain foods can reduce inflammation, repair damaged cells, and diminish pain, according to advocates. Foods with omega-3 fatty acids may target inflammation and pain while antioxidants may aid in the healing of cell and tissue damage. Herbal supplements are said to maintain your body’s natural chemical balance of inflammation elements. 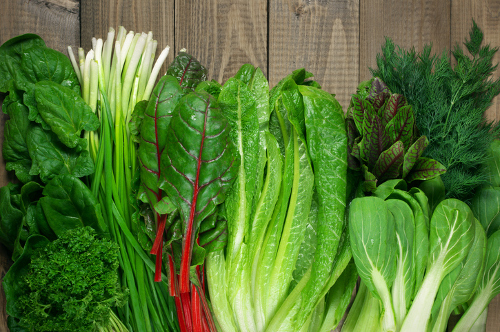 Full of antioxidants and anti-inflammatory components, green leafy vegetables top the list of inflammation fighters. Broccoli may help reduce harmful chemical levels with the antioxidant power of sulforaphane. Bok choy has been documented to have more than 70 antioxidant properties. Other greens to eat include spinach, kale, Swiss chard, and cabbage. Another green vegetable with antioxidant and anti-inflammatory properties is celery. Stemming from the stalk, celery seeds may also aid in inflammation reduction as well as fighting infections. Celery has high levels of potassium. A sign of high levels of antioxidants in food is that of a deep, rich color. 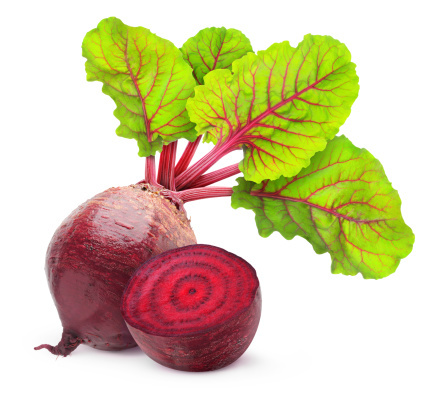 Beets have such a property known as betalain, which is also responsible for its amazing red-burgundy color. The properties of beets may also target cells in need of repair and the vegetable contains potassium and magnesium to tame inflammation. In keeping with the color scheme, tomatoes have the lycopene antioxidant, which is believed to fight free radicals associated with various cancers. Studies have suggested the natural components of tomatoes and its products, offer more anti-inflammation benefits than those of supplements. A study published on the National Center for Biotechnology web site reflects on the benefit of cooking tomatoes in olive oil for an increased absorption of the lycopene upon consumption. 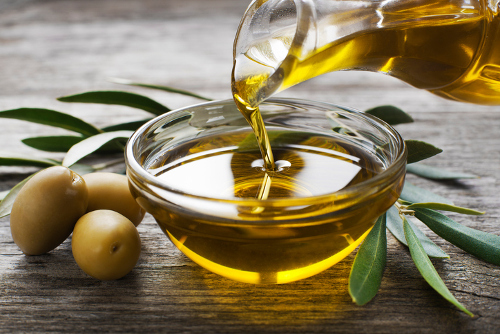 As we know, olive oil has many health benefits, including those from antioxidants. The oleocanthol property is similar to what is found in ibuprofen. By using extra virgin olive oil, you gain a more powerful effect than using regular olive oil due to the processing stage. Dozens of studies have concentrated on the daily use of olive oil with the popular Mediterranean diet. One study linked the drop in inflammatory element levels with consuming at least 50 milliliters of the oil each day. Another natural product useful in lowering inflammatory symptoms is coconut oil. Studies like one done in India have found virgin coconut oil had a more successful result in combating inflammation in rats with arthritis than prescribed medication. The fact that cases of arthritis were healed creates a hope for a human cure. You can use coconut oil topically in addition to the regular use of as a cooking ingredient. The anti-inflammatory antioxidants, quercetin and anthocyanin, are both found in the sweet fruit of berries. A study of overweight men and women, showed those who had consumed strawberries had lower inflammation elements, which are linked to several diseases including heart disease. Blueberries have high levels of quercetin that has been found to fight inflammation and diseases such as cancer. The mighty antioxidant quercetin is also known to have a major effect on inflammation when combined with bromelain. Bromelain is found in pineapples and is best used to control the body’s response to inflammation to prevent further complications. Other antioxidants found in pineapple are vitamin C and B1, potassium, and manganese. We are told to consume fish a few times a week to get our required amount of omega-3 fatty acids. Did you know all fish are great resources of this? Salmon, mackerel, sardines, herring, and anchovies are the ones we hear of the most due to their high concentration of omega-3 fat. Of all fish, salmon is king. Its high levels of omega-3 effectively reduces inflammation quickly. Wild-caught salmon is more beneficial than farmed salmon. A member of the group foods high in omega-3 fatty acid, nuts and seeds promote healing of inflammation. Walnuts have an abundant amount of omega-3 and when added to a green leafy salad with olive oil creates a powerful anti-inflammation meal. Your daily intake of this comforting beverage may be promoting lower inflammation levels as well as providing antioxidants to fight disease. Inflammation may have little chance to attack healthy cells and tissue with the natural properties of chia seeds. Packed with essential fatty acids, vitamins, and minerals, chia seeds are filled with antioxidant and anti-inflammatory properties. Used alone or sprinkled on various foods, flaxseeds have high levels of antioxidants. Before using, it is recommended to grind whole seeds as they can cause digestive issues. In the raw, or supplement form, ginger may boost the immune system with its anti-inflammatory properties. It is used by some to reduce the inflammation caused by allergies and asthma. A popular spice used in Indian dishes, turmeric has been shown to be an effective tool in the fight of inflammation. It contains curcumin as its anti-inflammatory property and has been said to be one of the world’s most effective inflammation fighters. 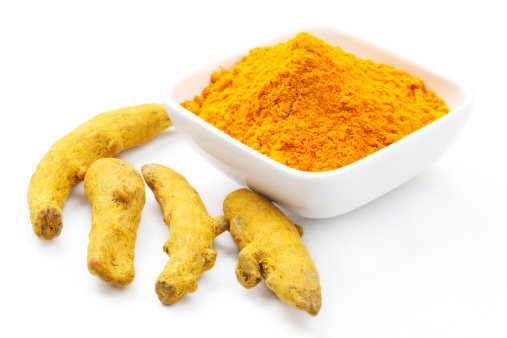 It should be noted that to get the benefits of curcumin, turmeric needs to be consumed with other inflammatory fighters such as black pepper, which allows more absorption of curcumin with its piperine component. Inflammation is crucial to our body’s fight against harmful bacterial and viral attacks. When our body’s immune system mistakes healthy cells for a potential threat, complications arise and we need to take steps to remedy the issue. An anti-inflammatory diet may not only help resolve the inflammation, but it also gives us good overall health. The anti-inflammatory properties of many natural foods, herbs, and spices have been shown to reduce symptoms and promote healing. Axe, J., Dr., “Top 15 Anti-Inflammatory Foods,” Dr. Axe; https://draxe.com/anti-inflammatory-foods/, last accessed February 16, 2017. “Foods That Fight Inflammation,” Harvard Health Publications; http://www.health.harvard.edu/staying-healthy/foods-that-fight-inflammation, last accessed February 16, 2017. “Increases In Plasma Lycopene Concentration After Consumption of Tomatoes Cooked in Olive Oil,” Pub Med on U.S. National Library of Medicine National Institutes of Health; https://www.ncbi.nlm.nih.gov/pubmed/15927929, last accessed February 16, 2017. “Polyphenolics Isolated From Virgin Coconut Oil Inhibits Adjuvant Induced Arthritis in Rats Through Antioxidant and Anti-Inflammatory Action,” Pub Med on U.S. National Library of Medicine National Institutes of Health; https://www.ncbi.nlm.nih.gov/pubmed/24613207?dopt=Abstract, last accessed February 16, 2017. “Nonsteroidal Anti-Inflammatory Agents Differ In Their Ability To Suppress NF-kappaB Activation, Inhibition Of Expression Of Cyclooxygenase-2 And Cyclin D1, And Abrogation Of Tumor Cell Proliferation” Pub Med on U.S. National Library of Medicine National Institutes of Health; https://www.ncbi.nlm.nih.gov/pubmed/15489888, last accessed February 16, 2017.